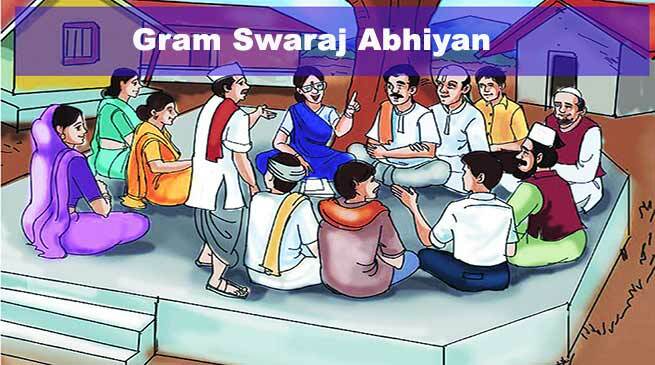 Buoyed by the success of the Gram Swaraj Abhiyan (GSA) flagship schemes in 11 identified villages, the Hailakandi district administration is planning to extend the Gram Swaraj Abhiyan to the remaining 320 villages in a phased manner. According to Deputy Commissioner, Adil Khan, the district administration has demonstrated that the benefits under the seven pro-poor schemes under GSA could be taken to the households in all villages through a special drive. He disclosed that 247 villages would be covered under GSA II and its implementation would be monitored by five nodal officers from Government of India. GSA is a special multi-departmental and multi-sectoral initiative launched on April 14, 2018 for achieving saturation under seven pro-poor programmes of the Centre. “As we have been focusing on more than 40 indicators to achieve overall development under New India Mission 2022 after the district was declared as one of the aspirational districts by NITI Aayog, we will put in all efforts to implement GSA in the remaining villages,” said Khan with conviction. Hailakandi district has achieved 100 per cent saturation in five out of seven schemes, thanks to the constant reviewing of the status of progress at meetings with the district heads of the concerned departments and making field inspections to assess the progress in 49 indicators especially public health, education, agriculture, infrastructure development, skill development and financial inclusion by Deputy Commissioner Khan. The district has achieved 100 per cent saturation under the financial inclusion schemes, including Prime Minister’s Jan Dhan Yojana, Prime Minister’s Suraksha Bima Yojana, Prime Minister’s Ujjwala Yojana, Unnat Jeevan by Affordable LEDs and Appliances for All (UJALA) and Mission Indradhanush. Other programmes such as Prime Minister’s Jeevan Jyoti Bima Yojana and Prime Minister’s Sahaj Bijli Har Ghar Yojana (Saubhagya) have also recorded substantial progress. “Massive outreach programmes were organised across the identified villages as part of the GSA,” added Khan. Meanwhile, the Deputy Commissioner has asked the banking institutions to ensure 100 per cent saturation of Prime Minister’s Jeevan Jyoti Bima Yojana through deployment of special teams to the villages and organising special camps. Khan also directed the officials of APDCL (Rural Electrification) to step up its efforts to provide free power connections to the remaining 1260 households to achieve cent percent saturation.